There's nothing not to love about chef Roy Choi. 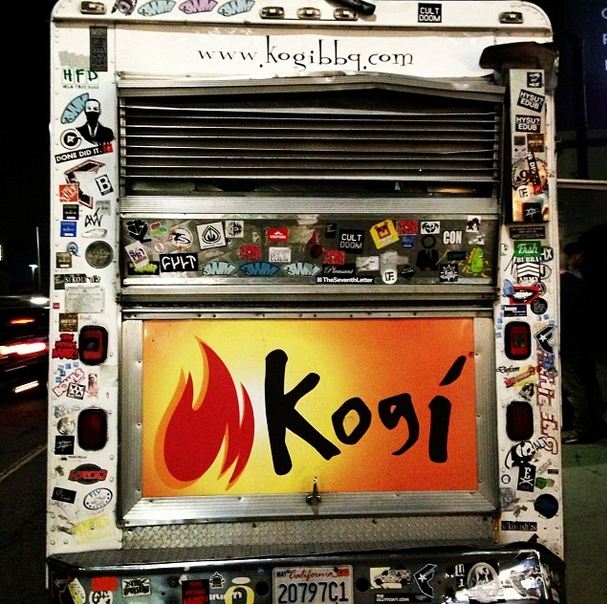 His Kogi food trucks. His LA restaurants. One of the best, most endearing movies of the year, Chef, which he co-produced. And as anyone who's met him (or tweeted with him) will agree, his genuinely cool, kind, down-to-earth demeanor. Now, only a few weeks following the debut of Commissary at The Line Hotel and wrapping the first season of "Street Food," his new show on CNN, Choi announced another wildly ambitious project, a movement even, to launch a chef-driven fast food chain called Loco'l (pronounced local) with chef Daniel Patterson (behind Michelin-rated Coi in San Francisco). It was the biggest news to come from this year's annual MAD Conference in Copenhagen, what Jonathan Gold describes as Woodstock for chefs. With the help of an "Avengers League" board of directors, including chef Rene Redzepi of Michelin-rated Noma in Copenhagen and renowned baker Chad Robertson of San Francisco's Tartine, Choi and Patterson plan to launch the first Loco'l outpost in San Francisco's Tenderloin district early next year. The goal is that it be true fast food, tasty short-order burgers, a dollar menu and all, but made from nutritious, locally sourced ingredients. If you missed this weekend's broadcast of KCRW's "Good Food" listen here as Choi discusses Loco'l for the first time as well as the inspiration for it, which stemmed from a speech he gave at the 2013 conference themed guts. “When I first got the topic, it just crystalized for me where I had to speak upon the things that I'm seeing out here in America every day," said Choi. "And the more and more I built that speech, the more and more I found my own courage in my own place to speak to this audience, which I knew were going to be 600 of the best chefs in the world, and influencers, and restauranteurs, that we're not feeding enough people."